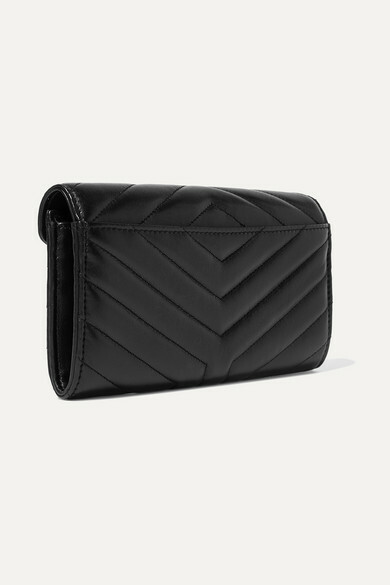 It's worth investing in a great wallet because of how many times you use it every day - from that morning coffee to the commute home. 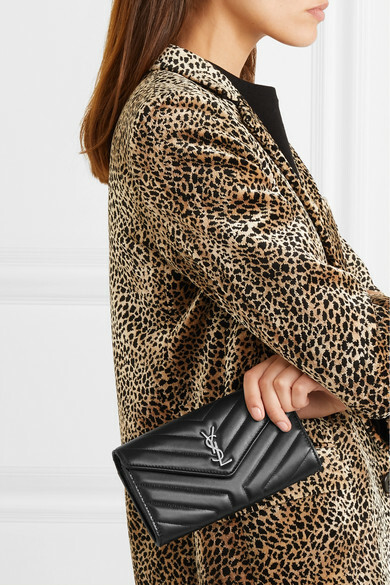 Saint Laurent's style makes a wise choice because it's been deftly made in Italy from durable textured-leather and quilted with the house's signature chevrons. 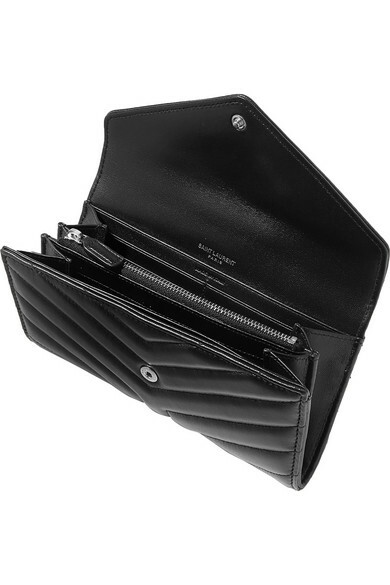 There's a slip pocket at the back for keeping receipts or shopping lists safe, and it also has six card slots and and a zipped coin compartment. 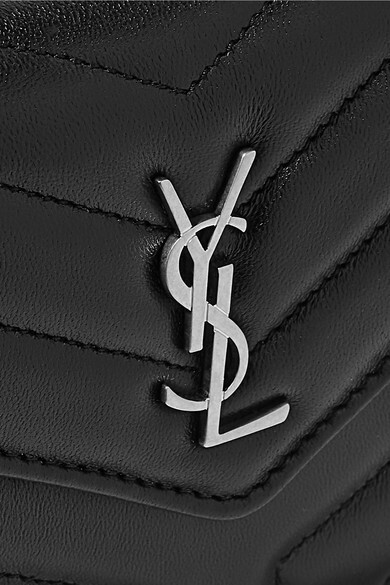 Shown here with: Saint Laurent Jeans, Saint Laurent Hoodie.